Ergonomic dome grip and perfect weight distribution for relaxed work. Temperature-dependent overload protection. Accelerator switch, speed preselection, controlled speed, smooth start-up. Exceptional cooling in lower speed range - allows work under heavy loads. Polishing pad changing without tools thanks to spindle stop. 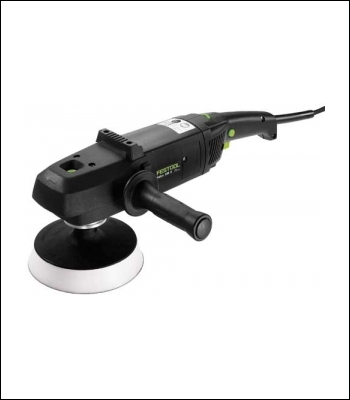 Ideal for polishing large areas. Speed range of 0-2400 rpm (via accelerator switch) for a wide range of uses. Ideal for horizontal surfaces.